What does a Glass Doctor Franchise Cost? Glass Doctor total investment range is between: $111,800-$281,000 which includes a franchise fee of $35,000. The initial investment is determined on a case-by-case basis. Glass Doctors will offer a 15% discount off the initial franchise fee for honorably discharged veterans who satisfy the VetFran program guidelines. Glass Doctors provides education, technology training, on-going training and support, marketing systems and consultation, and preferred vendor discounts. Glass Doctor is an all-in-one national glass specialist for installing, replacing, and repairing home, auto and business glass. 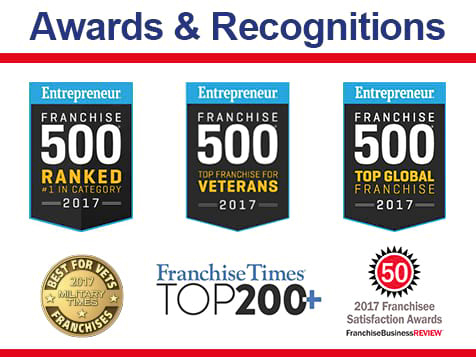 Our primary focus is on helping our franchisees meet and exceed their financial, professional and personal goals. As part of Neighborly, our expertise lies in providing the right tools, support, and environment to turn those goals and dreams into a reality. We see it happen every day. Why shouldn’t it happen to you? Open Glass Doctor in any of these available states: CA, CT, HI, IL, KY, LA, ME, MD, MA, NV, NH, NJ, NM, NY, ND, OH, OR, PA, RI, SD, TN, TX, VT, VA, WA, WV, WI, DC. Glass Doctor is an all-in-one national glass specialist for installing, replacing, and repairing home, auto and business glass. Our primary focus is on helping our franchisees meet and exceed their financial, professional and personal goals. As part of Neighborly, our expertise lies in providing the right tools, support and environment to turn those goals and dreams into a reality. We see it happen every day. Why shouldn’t it happen to you? You invest in us. We invest in you. 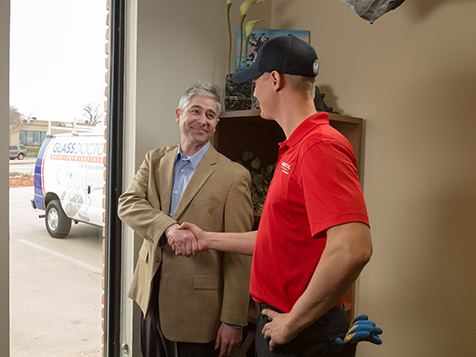 With franchising, you get the independence of starting your own business with the security of joining forces with a nationally recognized brand. The combination of your energy and ambition with the experience and expertise of a larger company is explosive in its potential for success. Proprietary System: Our unique business model is designed for improving overall profitability and sustainability, including state of the art software to streamline operations. Comprehensive ongoing training and support: Our Sure Start training helps prepare you for many aspects of operations including how to manage your finances. A dedicated Franchise Consultant will coach you for your first year. Franchisees in their second year of operation and after will be assigned a Regional Service Manager to advise them when needed. Registered trademarks and a designated territory: We make sure you are protected. 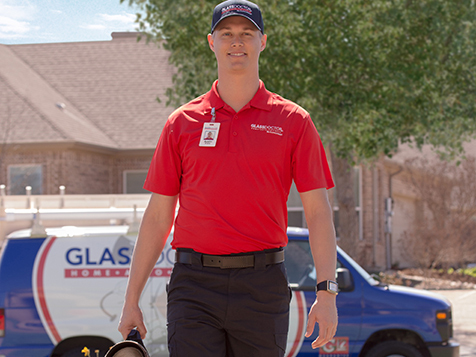 Continuous innovation: The Glass Doctor marketing team keeps ahead of trends and is always looking and learning new ways to keep the Glass Doctor brand the most recognized glass installation and repair brand in the business. Nationwide networking support: You’ll have over 180 fellow Glass Doctor franchisees to consult with, PLUS the opportunity to meet up at Regional and National Conferences. That’s a LOT of people to “talk shop” with. Vendor Discounts: Cut your expenses with ProTradeNet, a program offering preferred discounts through membership that includes annual rebates.